Evelyn's posthumously "rival" diarist, Samuel Pepys, wrote a different kind of diary, covering a much shorter period, 1660–1669, but in much greater depth, within the same era. Over the years, Evelyn's Diary has been overshadowed by Pepys's chronicles of 17th-century life. Born into a family whose wealth was largely founded on gunpowder production, John Evelyn was born in Wotton, Surrey and grew up in Lewes, Sussex. While living in Lewes, in Southover Grange, he was educated at Lewes Old Grammar School. After this he was educated at Balliol College, Oxford, and at the Middle Temple. In London, he witnessed important events such as the trials and executions of William Howard, 1st Viscount Stafford and Thomas Wentworth, Earl of Strafford. Having briefly joined the Royalist army and arrived too late for the Royalist victory at the Battle of Brentford in 1642, he went abroad to avoid further involvement in the English Civil War. ^ Goodwin, Gordon (1888). "Dumaresq, Philip (DNB00)". In Stephen, Leslie. Dictionary of National Biography. 16. London: Smith, Elder & Co. Retrieved 24 February 2013. ^ a b c d e f One or more of the preceding sentences incorporates text from a publication now in the public domain: Chisholm, Hugh, ed. (1911). "Evelyn, John". Encyclopædia Britannica. 10 (11th ed.). Cambridge University Press. 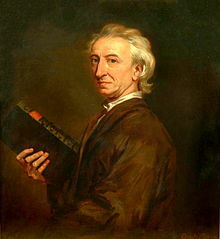 John Evelyn (Oct 1620- Feb 1706) Another Diarist, Royalist thru and thru; Wealthy, His Diary, ( an edition edited E.S. de Beer 1959) Evelyn called it 'Kalendarium' Major portions were were religeous related tracts. His epitaph worth reading. His trips abroad, around England in Coach,His entries are questionable in some areas as they were not done on the date in Question so a little memory variations. I haven't found an alternative on the web yet, although I've tried several search engines. Some time ago I downloaded the diary files: it's these that I use now when I occasionally refer to JE's diary in annotations. A new edition of Evelyn's diary. Everyman have recently published a new edition of Evelyn's diary. This one is edited by Roy Strong and is based on E.S. De Beer's six-volume edition. Strong provides a perceptive introduction to the work (pace Raymond Carr in today's Spectator magazine) and runs to 1000+ pages. A new life of Evelyn, by Gillian Darley (author of "John Soane: An accidental Romantic," 1999), will be published later this year, says the contributors' page to the 31 March 2006 Times Lit. Supp.---how handy to have the new Everyman to go with it. The Everyman edition Mary alerted us to has now been reviewed in the Times Literary Supplement too, weighs in at 1,013 pages, and should now be readily available from your preferred dealer, at least in the UK. "This new biography of John Evelyn, diarist, scholar and intellectual virtuoso, is the first account to make full use of his huge unpublished archive deposited at the British Library in 1995. This crucial source evokes a broader and richer picture of Evelyn than permitted by his own celebrated diaries." US publication will be 27 Feb. 2007. John Evelyn's resevations concerning the forthcoming war. Evelyn had wrote the following probably about the middle of 1664, as skirmishes in various parts of the world were taking place and he, like many others, saw the inevitability of declared war. Evelyn had grave misgivings about war with the Dutch a nation that he particularly admired. As usual at times of stress he composed a prayer. "Lord I have long desired of thee that thou would choose my Employment, furnish out my person and render me useful in something that might please thee." He asked for Divine blessing with his responsibilities in "this unhappy war with our neighbours" and hoped to carry out his duties "with integrity, as to his Majesties trust, and with Charity and Tenderness as to thine; that having obtained the grace and the anyways helpful to those in distress, I be remembered for Good." Finally he prayed for the victims and relatives and, above all, an end to the war. Evlyn's house...Plan of Sayes Court House and Garden. This plan of the house and garden at Sayes Court shows in detail the renovations to the house and outbuildings and the new garden layout of the parterre, grove and orchard designed and carried out by John Evelyn. The property had long been held by Evelyn's wife's family as a crown lease, and he lived there from 1652 until he moved to his own ancestral home at Wotton in Surrey in 1694. The line dividing the key from the plan actually represents the dock wall. Sandwiched between the docks and the yards where cattle were slaughtered, this was not an ideal location for a tranquil garden. But at Sayes Court Evelyn, inspired by French and Italian ideas, created one of the most influential gardens of his day. Related page includes photo of the following, Autograph Letter from Samuel Pepys to Evelyn, 2 October 1685. Although the Snowdrop (Galanthus nivalis) is considered a native plant to Great Britain it is not recorded as growing in the wild until the 1770’s. The first mention of the name in the OED is in 1664 from John Evelyn in his Kalender of Horticulture, and Robert Boyle referred to “Those purely White Flowers that appear about the end of winter commonly called Snow Drops”. In Gerard’s original of 1597 there is an unmistakable drawing and description, and in the revised edition around 1660 there is a footnote as “Timely flouring bulbous Violet”. John Evelyn, the English Peirese, was a gentleman of as universal knowledge as any of his time; and no man was more open and benevolent in the communication of it. He was particularly skilled in gardening, painting, engraving, architecture, and medals; upon all which, he has published treatises. His book on the last of these sciences, is deservedly in esteem; but is inferior to that of Mr. Obadiah Walker on the same subject. His translation of "An Idea of the Perfection of Painting," written in French by Roland Freart, and printed in 1668, is become very scarce. His "Sculptura, or the History and Art of Chalcography, and engraving in Copper," was composed at the particular request of his friend, Mr. Robert Boyle, to whom it is dedicated. But his great work, is his "Sylva ; or a Discourse of Forest Trees, and the Propagation of Timber," &c. which was the first book that was published by order of the Royal Society. He tells us, in the second edition of that valuable work, that it had been the occasion of planting two millions of timber trees. The author, who resided chiefly at Says Court, near Deptford, had one of the finest gardens in the kingdom, and was one of the best and happiest men in it. He lived to a good, but not an useless old age, and long enjoyed the shade of those flourishing trees which himself had planted. Ob. 27 Feb. 1705.6, Æt. 86. ---A Biographical History of England. J. Granger, 1775. 1620-1706. An English writer, gardener and diarist. His diaries are largely contemporaneous with those of Pepys and they corresponded frequently.